Our range of hardwearing industrial chairs are ideal for use in manufacturing and laboratory environments. 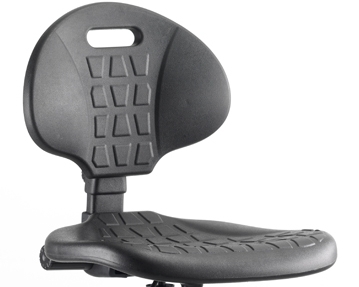 As well as being practical, these seats offer a high level of comfort and support. 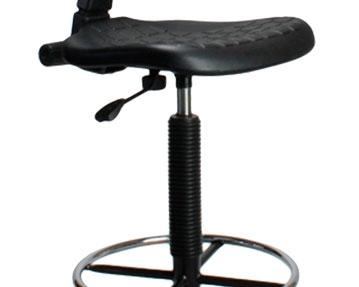 Ergonomically designed, they feature contoured backrests and curved seats to promote good posture and prevent aches and pains. 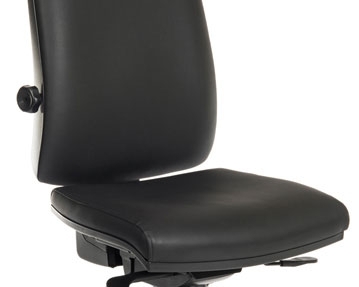 Many of our industrial chairs also include a number of useful features to improve the seating experience even further, such as adjustable height, reclining back tilt, optional armrests and fixed foot rests for easy access and descent. From draughtsman versions to high rise designs and stools, you’re bound to find something to suit your needs among the range of industrial seating solutions here at Furniture At Work. 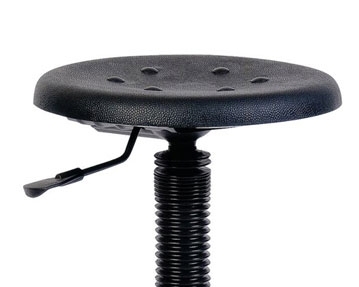 All of our operator seats are made with robust frames and stable five star bases for added stability and durability. Built to withstand harsh conditions and wear and tear, the materials have been carefully selected to ensure that they will last and can easily be wiped clean. Our Polyurethane chairs are also resistant to certain chemicals, such as acids and alkalis. To find out more about all our office chairs, browse the collection further or get in touch with our friendly and professional team today.